Following a nine-month renovation, Chelsea’s No. Fifty Cheyne will open this month under new head chef Iain Smith, offering “contemporary British cuisine centred around an open grill”. 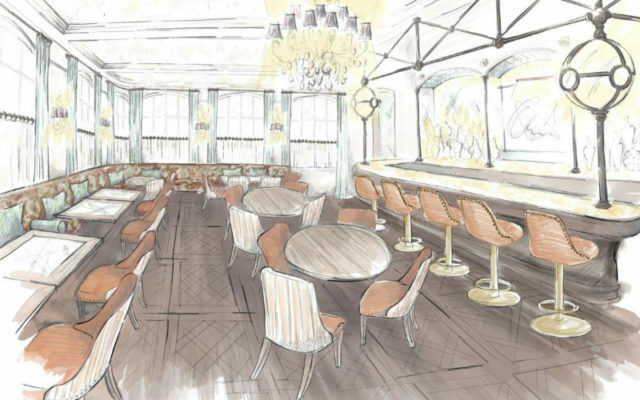 Originally founded in 2003 by Sally Greene, founding director of The Old Vic and proprietor of Ronnie Scott’s, the restaurant will open as an entirely new concept. Iain Smith, previous head chef at Jason Atherton’s Social Eating House, will work in collaboration with food and beverage director at Bourne Capital, Peter Horton, and venue manager, Benoit Auneau, to curate the menu, wine list and cocktails. The menu is set to feature dishes such as a Belted Galloway beef ragout with spatzli, spicy sausage and rose harissa and a Cornish monkfish, roscoff onion, potato straws with roast chicken broth. There will also be a Sunday menu offering guests the opportunity to order a whole suckling pig, a rib of beef or a whole salmon. Designed by Lambert and Brown and offering guests views of the Thames River and Cheyne Gardens, the space will feature a 70-cover restaurant on the ground floor, including a 28-cover, semi-private dining room, and a 50-cover cocktail bar and ‘drawing room’ on the first floor. No. Fifty Cheyne will open on March 25.